Recruiters are constantly striving to attract and retain better talent, and many are increasingly using new perks to seal the deal. One of the easiest perks to offer also happens to be one of the most attractive to today’s employees: the ability to work remotely. Some companies have embraced remote work so much they’ve done away with offices entirely, and working remotely is a preferred perk of the best talent on the market. What makes it such a beloved benefit for employers and employees alike? Studies confirm that working remotely has the potential to boost employee productivity. While the boost hasn’t been conclusively proven for all jobs in all industries, nor have researchers ruled out the possibility that employees are simply working harder to preserve their work-from-home benefits, the fact remains that many remote workers get more done than their in-office counterparts do. Many workers today are chasing better work/life balances, and remote work gives them more flexibility to handle their personal responsibilities. For example, parents who work remotely can spend more time with their children. One way remote work improves work/life balance is by cutting out commute times. The average American worker spends an hour a day commuting to and from work. Employees who work remotely gain that hour back, giving them more time for their own lives every day. Employees may also see remote work options as a cultural signal. That is, they perceive companies that offer remote work arrangements to be more caring. They also see these organizations as more trusting, as they allow employees to work without heavy supervision. This makes these companies more attractive to many candidates on the market. 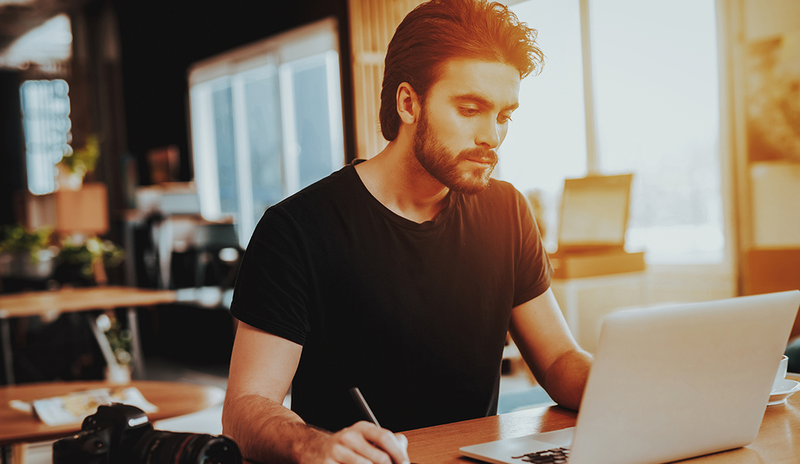 Once they recognize the value of remote work, the problem for most organizations becomes figuring out how to offer remote work without disrupting the flow of business. One of the challenges many remote workers face is adjusting to their new work environments. It can be difficult to filter out the distractions and temptations of home and focus on work for a full eight hours a day. Coworking spaces provide a kind of middle ground between going to the office and working from home, giving workers access to a professional environment away from the worries of home without having to commute to the office every day. Not everyone will be thrilled with the prospect of working remotely, and some employees will only want to work remotely part of the time. If you can, give employees room to negotiate the kind of flexibility that works for them. That way, each worker will get the right setup for their needs, allowing them to perform at their best day in and day out. Remote work offers lots of flexibility, but that flexibility can lead to the misuse and abuse of remote work arrangements. You can mitigate this problem by creating a comprehensive remote work policy and proactively communicating expectations with each remote worker. Are your employees allowed to work flexible hours, or must they be available for specific hours during the day? Are employees required to spend a minimum number of days each week in your physical office? The answers to these and other questions should be crystal clear to every employee. If your company can swing it, consider offering money to assist workers in setting up their home offices. Not only is this an attractive perk that employees and job seekers alike will appreciate, but it also ensures your remote employees will have the equipment they need to stay productive. By allowing and encouraging remote work, you can attract better talent, improve retention rates, and even boost overall productivity. Start offering remote work to employees and promoting it to job seekers, and you’re likely to see some serious benefits.